Starting your own business can be a tough job. Not only are you going to have to try to complete the work of your business, but you also have to do all the work for your business. And when you’re just starting out, you’re likely the only person on your payroll. 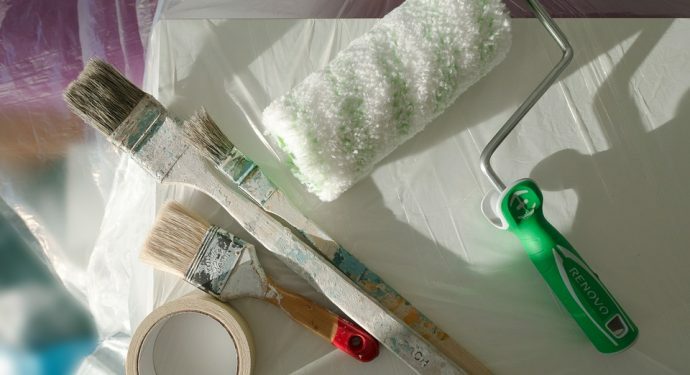 But if you’re going into business for yourself doing something you love, like commercial painting, then things might prove to be a little less stressful for you. Still, it’s important that you have a solid plan and strategy for success. So to help with this, here are three tips for starting your own business as a commercial painter. Before you can get your first job as a commercial painter, you must first have all the necessary equipment together for you to get the job done. This will entail more than just a brush or roller. According to Matt Goetz, a contributor to BizFluent.com, you’ll need to have things for both the physical side of your business and the administrative side. Without things like a business license, business insurance, and a federal tax ID number, you’ll have a hard time legally making money. Additionally, you’ll probably want to get more than just your average paint or painting supplies. Try to find materials and supplies that are high quality and will allow you to do high-quality work with each job you’re hired for. Just because you’re painted your own home before doesn’t necessarily mean that you’re qualified to start working for yourself as a commercial painter. There are likely a lot of things you don’t know about this line of work if you haven’t been trained or thoroughly studied it out. Because of this, Matt McKay, a contributor to Chron Small Business, suggests that you try to get some professional training before you take on your first job. During this training, you’ll learn tips and tricks of the trade that can make starting your own commercial painting business much easier. To start getting a steady stream of business for your new venture, it’s going to be supremely helpful to you if you get a supportive network around you. To do this, Annie Pilon, a contributor to Small Business Trends, recommends that you focus your networking on those currently working in the industry, meaning people like property managers, contractors, decorators and more. Getting a referral from people like this can be a big boost for your fledgling business. If you’re thinking about starting your own small business as a commercial painter, consider using the tips mentioned above to help you learn the best way to make this dream a quick and successful reality.